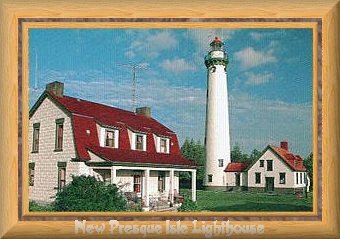 It started service in 1871 to replace Old Presque Isle. It stands 113' tall. The tower is open twice a year, around July 4 and Labor Day. There is a very nice gift shop and small museum there. The tower is maintained by the U.S. Coast Guard. It's worth a visit!